Ganga Talao (commonly known as Grand Bassin in Mauritius) is a crater lake, about 550 metres above sea level, located in the mountainous Southwest district of Savanne. On the shoreline sits a temple along with a collection of small shrines dedicated to Lord Shiva and other gods. Ganga Talao is a major draw of crowds in Mauritius, with many people visiting the site to pray, meditate, play with the local monkeys, or simply to walk by the lake and enjoy the gorgeous surrounding views. The lake of Ganga Talao is thought to be around 18 meters deep and is teeming with a healthy population of fish and eels – no doubt due to the leftover offerings they receive from Hindu pilgrims. However, it is strictly forbidden to fish here due to the sacred nature of the Ganga Talao lake. In local folklore, the Ganga Talao lake’s history as a pilgrimage site goes back to 1887, when a Triolet ‘pujari’, or priest, had a dream in which he saw the lake’s water springing from the river Jahnavi, another name for the goddess Ganga. News of this vision spread rapidly throughout the Hindu community in Mauritius, and when the priest subsequently visited the site with other people he found it looked exactly as it had in his dream. Every year since then, pilgrims have trekked to the lake at the time of Maha Shivaratri, helped along the way by local people offering food and moral support en route. In 2007 a huge statue of the Hindu god Shiva was unveiled and remains the tallest statue in Mauritius at about 33 metres high. 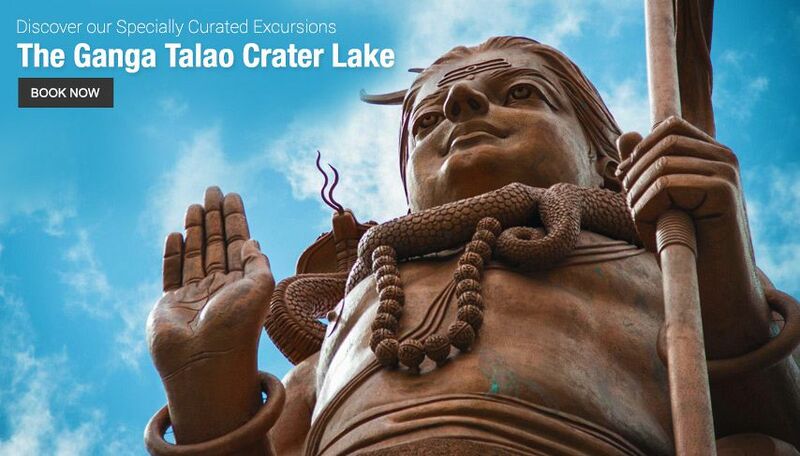 The Ganga Talao crater lake is at the heart of one of the island's most important Hindu festivals, Maha Shivaratri. Every year thousands of Hindus make the rugged journey to Grand Bassin for a touch of divinity. Maha Shivratri celebrates the god Shiva, one of Hinduism's three major deities. Pilgrims carry hand-made "kanwars" - shrines dedicated to Shiva, to Ganga Talao, and once they find a suitable place at the water's edge, they perform their own private prayer ceremonies with offerings of fruit, incense sticks and lamps. To fully grasp this festival’s significance, it is important to know the harsh history of the indentured Indian labourers in Mauritius. The island's Hindus are the descendants of half a million indentured laborers, subjects of the British Empire brought to Mauritius in the nineteenth century with the fake promise of a better life. However, the life that awaited them was far from that. Disease was rife aboard the vessels crossing the Indian Ocean, with cholera, smallpox, malaria and yellow fever. It claimed lives at sea and at numerous quarantines at the doorstep of Mauritius. Those who made it to the mainland worked as labourers in the sugarcane fields through tough conditions. It was not slavery, but it was far from what we call a normal healthy working environment. In those dire times, one of their driving forces was their beliefs and their religion. The statue is f 108 feet (33 meters) high and is the highest known statue in Mauritius. It was completed in 2007 and the "Sthapan" (the ritual) was done during the 2008 Maha Shivratri festival. The sight of the Mangal Mahadev statue is quite impressive as it is a beautifully crafted majestic statue. Ample parking space and toilet facilities are provided at Grand Bassin/ Ganga Talao, and entry to the site is free, though donations for the upkeep and maintenance of the temples are always welcome. Note: Kindly remember to remove your shoes before entering any of the temples. 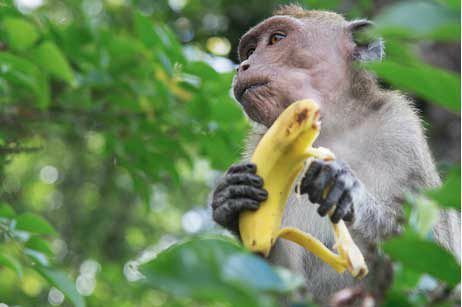 If you have time to spare, you can combine your visit to Ganga Talao with other nearby attractions such as the Bois Chéri Tea Plantation or even try a hiking trip in the beautiful Southwest region of Mauritius. Discover Ganga Talao through our specially curated excursions and day packages.